We have experience in how shaving mills should be set up and run. 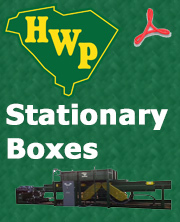 HWP has installed shaving mills in South Carolina, North Carolina, Florida, and Pennsylvania. 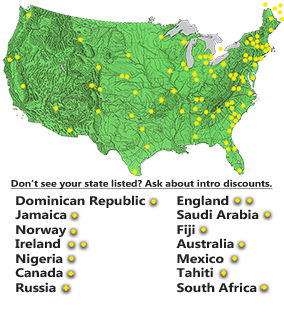 In addition to these, we have shaving mills running in 36 states and 8 foreign countries. We build and offer several different types of shaving mills, from our movable box (MVB) models to our stationary box models. These machines can be adapted for any environment or species of wood. We take pride in the simplicity of the mechanics on our mills and the ease of maintenance from our hinged guards to our easily accessible heads. All of our machines come with a one year parts warranty. 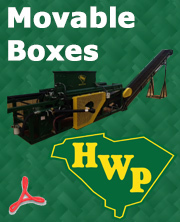 Small or large mills come with their own self-contained hydraulic system. When you buy one of our machines, it is pre-tested and ready-to-run. From the smallest to the largest machine, all are built with tried and tested products and positive field experience. Every machine is 100% MADE IN THE USA! Needing a copy of the Owner's Manual for your unit?